*taps mic* Hello, hello! Are we all having a good time? And the winner for Bombshell Beach Hair, Poolside Poise, and Style-savvy Swimwear... *laughs* Oh, isn’t it obvious? It’s me, of course! Heeyyyy! Who’s counting these votes? Kiss for Mundo! Mundo in LOVE. Bring your poro beach balls, fencing noodles, and floaties! Pool Party Miss Fortune, Pool Party Fiora, and Pool Party Taric are now splashing around in the League store for 1350 RP each. 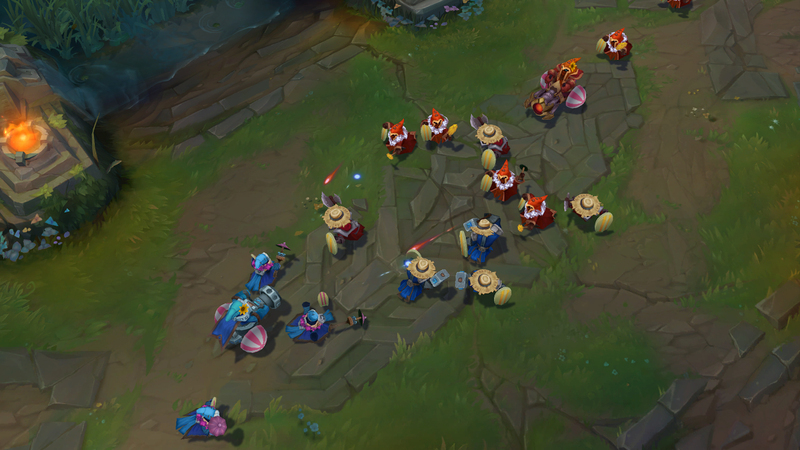 Pool Party minions are sliding onto the Rift (bot and unranked modes only) now through July 25!